Sustanon 250 is a testosterone mix of four different esters, all of which are put into a single compound. The 250 stands for the total ratio of milligrams (mg) per milliliter (ml) that was found in each ampule of the original version. Interestingly, it is easily the most well known and most widely used ester blend in the bodybuilding community, and it has also been copied by another blend called Omnadren, which is sold in Europe and shares the exact same esters. The idea behind the creation of sustanon 250 was to develop a blend of esters that a person could inject less frequently, but still feel results quickly and have each of the esters pick up one after another for a longer action of testosterone. However, this idea never caught on in the United States, as testosterone replacement (TRT) doctors chose to go with single esters instead. Consequently, this concept is put in practice only in Europe, where Omnadren is used for TRT. As a matter of fact, the well respected British National Formulary lists sustanon 250 as the preferred compound for TRT. As it was already mentioned above, sustanon 250 is made up of different testosterone esters, hence the anabolic to androgenic ratio will be 100:100 on the dot, since no other compounds are used in this blend. 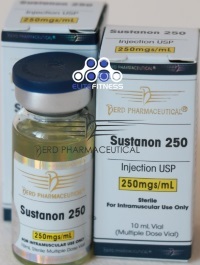 Sustanon 250 is an injectable anabolic steroid that typically comes in 1 ML amps with 250 mgs of the active substance. Nonetheless, underground labs (UG labs) have come up with 10 or 20 ml vials with the same mg/ml ratio. Testosterone Propionate 30 mgs: Out of the 250 mgs that make up this compound, only 30mg (12%) is the very short propionate ester; hence, sustanon 250 should never be treated like propionate. Usually, the propionate ester is used by those looking for a short ester in a cycle of only 8 weeks or less, which needs to be injected everyday or every other day. The half life is only 3.5 days, so it is in and out of the system quicker than the other esters. In fact, many bodybuilders also say they experience less aromatization from the propionate, which might have something to do with the fact it doesn't stay in the system very long. 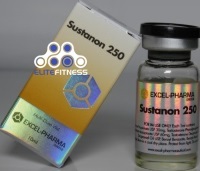 Now that we know about the esters used in this blend, and how much of each sustanon 250 contains, we can explain how it works in the real world. Many so called forum 'guru's will claim that sustanon 250 should be injected every other day to maintain 'stable blood levels' as they call it. Nevertheless, in reality they are mistaken about the way steroid esters and half lives work. When you inject sustanon 250 all four esters hit your system at the same time. However, the longer esters are the majority of the blend, and those heavy esters last a long time. Remember, a half life simply means that after that many days only half of what you injected will be leftover, and so on. Therefore, it doesn't just leave the body immediately as some people tend to think. In this example, out of the 250 mgs total you have 160 mgs made up of 9 and 15 day half lives, which will last weeks after injecting. Hence, it is hard to understand why some people treat sustanon 250 as if it were testosterone propionate, when it only contains 12% of that ester. Even with these facts you still have the majority of forum guru's claiming that sustanon 250 should be injected every 2 or 3 days, making it seem to be the most common way to run it. However, sustanon 250 should be injected every 11-15 days at a higher dosage, and each ester can peak up one after another to maintain stable blood levels. Since sustanon 250 is basically a blend of different forms of testosterone, you can expect to get the same effects as using any other single ester testosterone form. Still though, there is a small contingent of users who seem to claim that sustanon works better than a single estered testosterone because the body is 'tricked' by the different esters. Nevertheless, this idea isn't backed by science, and these beliefs could be due to such factors like placebo or simply a higher quality sustanon. Hence, sustanon will have the same properties as you will find with testosterone, and the same ancillaries will have to be used. As we all know, testosterone is an essential male hormone for both sexes, and men obviously require much more of it to function correctly. 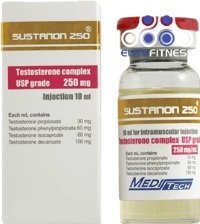 Men (and some women too) who suffer from low testosterone levels will go on sustanon 250 for TRT in order to bring their hormone levels back in line. What's more, sustanon 250 is also used by those in the bodybuilding world, who run it at higher dosages to get all the benefits that come with an increase in this potent male hormone. 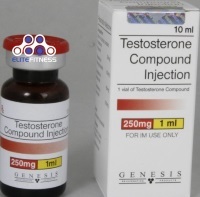 If you are running sustanon 250 for testosterone replacement therapy (TRT), then the doctor will probably put you on a single 250 mgs dose every 14 days, or they might have you inject 500 mgs every 3-4 weeks. The idea behind this approach is that you inject a large amount of this anabolic androgenic steroid (AAS), then allow the esters to do the job in succession. Meanwhile, if you use sustanon 250 as an athlete/bodybuilder, the weekly dosages can vary from 250 mgs up to 1000 mgs on average. Injecting twice a week or once per week are the most popular ways of using it as part of a stack. Those that seek to inject testosterone more often should swap into the propionate version instead. The half life of sustanon 250 should be linked to its longest ester - the decanoate. Thus, as mentioned above in the profile, sustanon's half life would be 15 days. Yet again, the detection time of sustanon should be linked to its longest ester, so it would be over 3 months. For this reason sustanon is a poor choice for tested athletes. 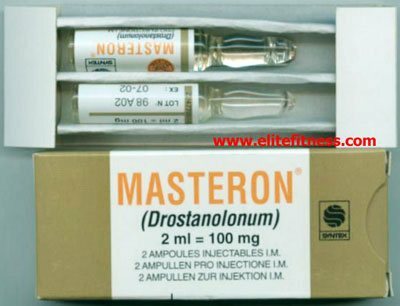 Abusing any anabolic steroid can result in major health problems, and sustanon 250 is not an exclusion. 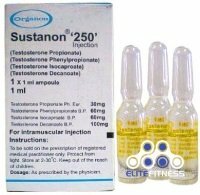 There is a difference between using sustanon 250 for TRT under a doctor's care, and abusing it in bodybuilding. There are two major problems with abusing this compound. The first is the estrogenic issues that will arise due to the aromatization into estrogen, which can result in such side effects as gynecomastia, bloating, and increased blood pressure. This is why it is important to use an aromatase inhibitor (AI) from the first day of sustanon use. These days, the most popular AI's are aromasin and arimidex. The second major problem is the suppression of the pituitary glands, which happens with all anabolic steroids. This is why it is so important to run a post cycle therapy (PCT) if you plan on ever coming off sustanon 250. Other side effects are the androgenic issues, such as heart strain and cholesterol effects. Luckily, there are support supplements that work great to combat this, and n2guard is one of the best ones for this purpose. Sustanon use leads to an increase in protein synthesis, more nitrogen retention in the muscles, higher red blood cell count, faster recovery, more IGF-1 production, and a pronounced inhibition of such muscle wasting hormones as cortisol. Add this all up, and what you get is more strength, more muscle mass, faster recovery, and usually an increase in libido. Therefore, it is not surprising that users say sustanon 250 helps them gain more muscle and strength. Additionally, they get a sense of well being, better mood, and increased libido. A user who is new to anabolics can take sustanon 250 and gain 10-15 pounds on a cycle. In spite of the fact that much of these gains can be attributed to water retention, there is definitely a noticeable increase in their strength gains across the board. All in all, the biggest complain you hear from users is that sustanon 250 sometimes causes post injection pain, which is not found with the much smoother testosterone enanthate. Sustanon 250 is versatile, and you can stack it with any other compound. Just make sure to be covered with a very strong aromatase inhibitor (AI) if you stack it with another aromatizing compounds. What's more, you should run an AI with it regardless of the other compounds in the stack. When compared to single estered testosterone, the beautiful part about sustanon is that it contains some short esters, so a kickstart with an oral steroid is not necessary. Consequently, you will feel it quicker than cypionate or enanthate. Sustanon 250 is produced by just about every underground source out there, so it is easy to find and is not expensive at all. For instance, you can buy 10 weeks worth at 500 mgs per week for $110-200 or so. Females can use testosterone, especially if they are deficient, but they must use it at a tiny dosage and should monitor their levels through blood work. This is purely for hormonal therapy not for bodybuilding. Unfortunately, if they use too much sustanon 250 they will open themselves up to virilization issues. When do you start noticing gains on Sustanon? Is 500mg enanthate better then 500mg sustanon for bulking?